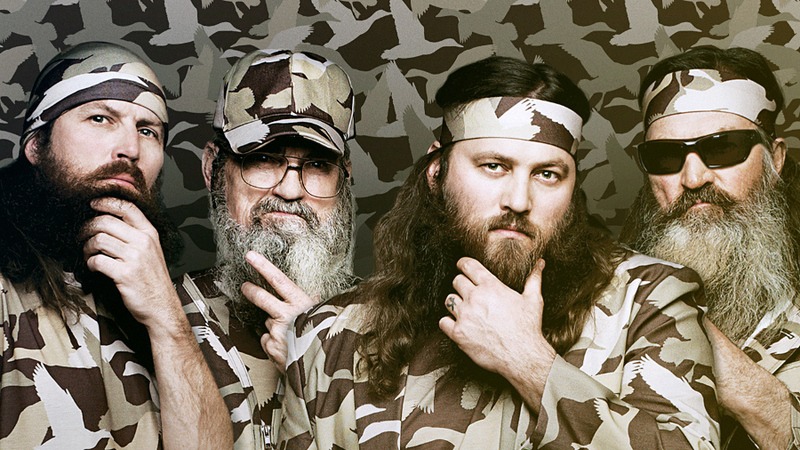 Duck Dynasty was a huge hit for A&E. Millions of viewers tuned in each week to watch the shenanigans of the Robertson clan, a bearded, fun-loving family from Louisiana who run a very successful business selling a duck call dubbed the Duck Commander. But after a while, ratings steadily dropped as the cast members’ on- and off-screen antics and scandals soured the show for many fans. In addition to Phil Robertson’s many controversial comments, the family has also dealt with addiction, abuse, and more. Read on to learn all about the Robertsons’ biggest shockers and scandals. The reality show Duck Dynasty aired on A&E from 2012 to 2017. The program focused on the Robertson family, who make a living in Louisiana from their business, Duck Commander. Brothers Phil and Si, along with Phil’s sons Jase, Willie, and Jep, make products for duck hunters, especially the duck call known as the Duck Commander. The family is renowned for their long beards and Christian values. The series was massively popular with fans. Nearly 12 million viewers tuned in to the fourth season premiere, making it the most-watched nonfiction program in cable history. Next: you won’t believe this person was a fan of the show.